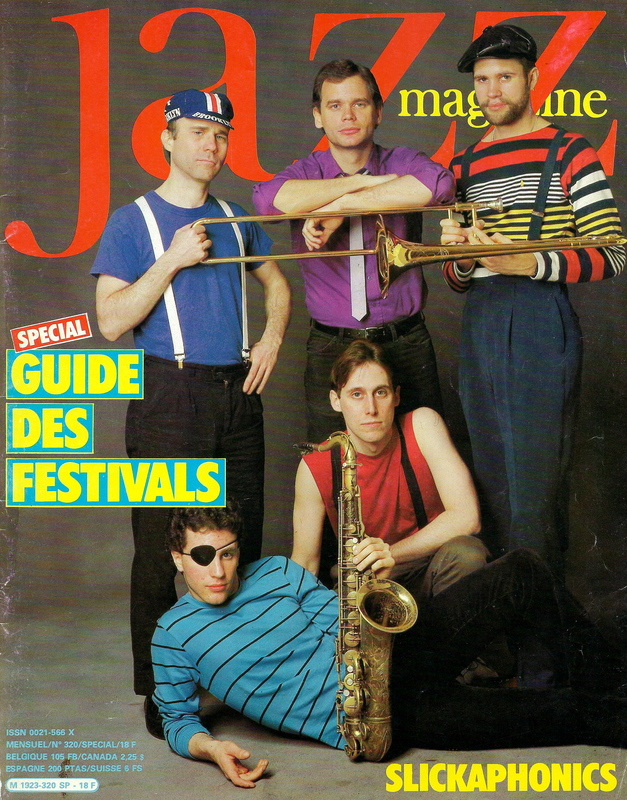 Here’s my “centerfold moment” on the cover of a venerable French jazz magazine with the Slickaphonics in 1983. This fabulous band was off the grid and almost too much fun! 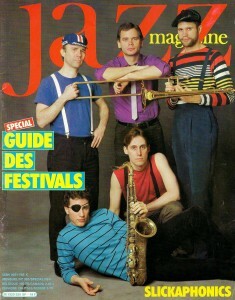 We were very popular in Europe, but only did one gig in the States. Crazy. Top, left to right: Jim Payne, Mark Helias, and Ray Anderson. Kneeling: Alan Jaffe.